There is nothing more discouraging to a student than knowing your professor doesn’t care that you have other responsibilities outside of their class. On the first day of any class, all professors give the warning that their class will be a lot of work — but is there too much work put on current students who aren’t only students? With tuition at our small liberal arts college constantly being raised, students are forced to figure out how they will pay this ever-rising bill. According to the Business Office’s records, cost of attendance (excluding housing) tuition in 2009 was estimated at $34,228, climbing to $43,676 five years later in 2014, and today, tuition is estimated at $48,086. Inflation and economic matters are of course factors, but within ten years, the tuition has risen over $14,000, which puts a strain on students who have to find a way to pay. Though the education we receive is the perfect fit for so many of us, our many responsibilities do not always align with our education. As a student who works full-time, commutes, and strives to keep my grades up — not only because of my own standards but because I am on scholarships — this puts me under constant stress to balance everything, but as a first-generation college student, I don’t know how. Being a third-year, I have taken advice from my parents, upperclassmen, and Whittier College staff/faculty, but I still struggle every day under the weight of it all, as most students do. We need support to learn how to balance our responsibilities even more effectively. Though the various offices on campus, such as the Center for Academic Advising and Success and the Office of Equity and Inclusion, offer so many resources to first-generation students, it is the professors who need to be at the front line of student support, for all students. However, this is not always the case. Professors do not always have the understanding ear that so many students desperately need. Sometimes it isn’t a disability, health issue, or family problem that we need understanding on, but the simple fact that we are way busier than we have the capacity to be. Valenzuela brings up an important point; students are now balancing so much more. Most students are no longer working for extra pocket change anymore, but, instead, their livelihood and families. Whittier always advertises that its faculty and staff work with students and meet them where they are, but when I reached out to the Whittier College community on a public Instagram poll, the results showed that 76 percent of the 64 voters polled believe that professors do not respect student’s responsibilities outside of the classroom. This is shocking because so many professors are willing to work with students. So, why can’t there be assignment extensions or smaller reading loads when so many students are drowning in work? 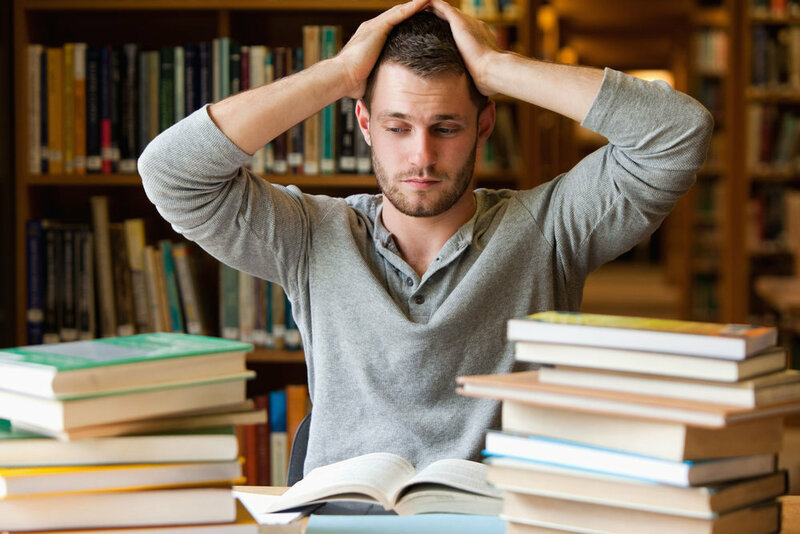 The American College Health Association Spring 2014 National College Health Assessment found that over 85 percent of students reported feeling overwhelmed with all they had to do, with over 30 percent reporting that stress affected their academic performance. With these findings, why is it that professors are told they need to aim for so many hours of homework? Professor of English Kate Durbin said, “We live in a moment in the United States where more and more students have to work several jobs in order to afford to go to college. As a result, they are juggling many work obligations other than their classes. I am well aware of this as a professor.” It is these moments that need to be shared with the student body; professors understand and are willing to help students. Many professors have a hard and fast grading policy when it comes to deadlines, but Durbin states that her classes are more than rules to be followed without question. “As for my extension policy, in general I offer them in cases of emergencies that can be verified — illness, death in the family, etc,” said Durbin. As grateful as I am to the professors like Durbin who understand, it is the ones who do not understand — or, for that matter do not make the effort to show they care — that confound me. Every person has been in the position where life and responsibilities are piling up higher and higher; we all need a helping hand. I, myself, have walked into professors’ offices crying because I have three seven-page papers all due on the same day but have been scheduled back-to-back eight hour shifts. In these situations, I have been met with both the understanding extension as well as the hard-fast, “this is the deadline, do it or fail” response. Even stranger, the professor who assigns something that is not on the syllabus; yet does not understand why the class has failed or, frankly, not turned in the assignment. This happens when a professor decides to make a last-minute assignment, but because it is not on the syllabus students do not have time carved out to dedicate to it, and, thus, it is only given a once-over and turned in if possible. It is simple: students are not just students anymore. We are sons, daughters, sisters, brothers, moms, dads, providers, employees, and people who need eight hours of sleep a night — eight hours that we cannot manage with twelve units. For each three-unit class, students are expected to spend at least three hours a week working outside of that course, on top of everything else. We have to find a way to balance on our own because no one else can do it for us. As many seminars on time management as the school offers, sometimes there are simply not enough hours in the day. I do not believe there is a professor out there who wants to stress students out, but many are also not helping students by balancing the workload.